Our very own Vice President, Gary Cucchi, was recognized in Long Island Business News’ 2018 “Who’s Who in Business Services” as one of 27 outstanding business leaders. The 20-year marketing industry leader oversees PMG’s business development, operations and client services…and he’s a helluva good cook, too! Mr. Cucchi was selected by LIBN based on exuding confidence in his field, facing challenges with conviction, creating opportunities with innovating resilience, and helping to make Long Island a vibrant, thriving community. With broad marketing expertise that includes B2B and B2C, non-profits, retail marketing and local government, Cucchi’s primary client responsibilities are to deliver strategic marketing solutions, tactical guidance and implementation. Equally adept in traditional and digital environments, Cucchi also serves as public relations director for most PMG clients. For over two decades, Cucchi has been a guiding force in the creation of PMG’s award-winning programs for a broad range of clients in diverse fields including higher education, healthcare, hotels and hospitality, imaging, office products, employee benefits, telecommunications, municipalities, business services, technology and industrial manufacturing. 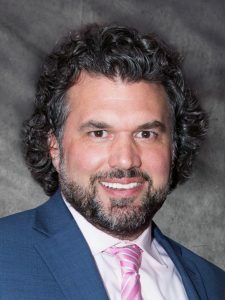 Recognized for his talents and contributions to the Long Island community, he was the recipient of the “Corporate Distinction in Community Support” award at the Mental Health Association of Suffolk County’s Mind Matters Gala and was named “Member of the Year” by Long Island Elite. 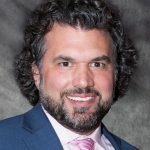 He was inducted into Long Island Business News’ “40 Under 40 Class of 2010,” and perhaps what he is most proud of is his place in the Smithtown Athletic Hall of Fame for his individual and team success.